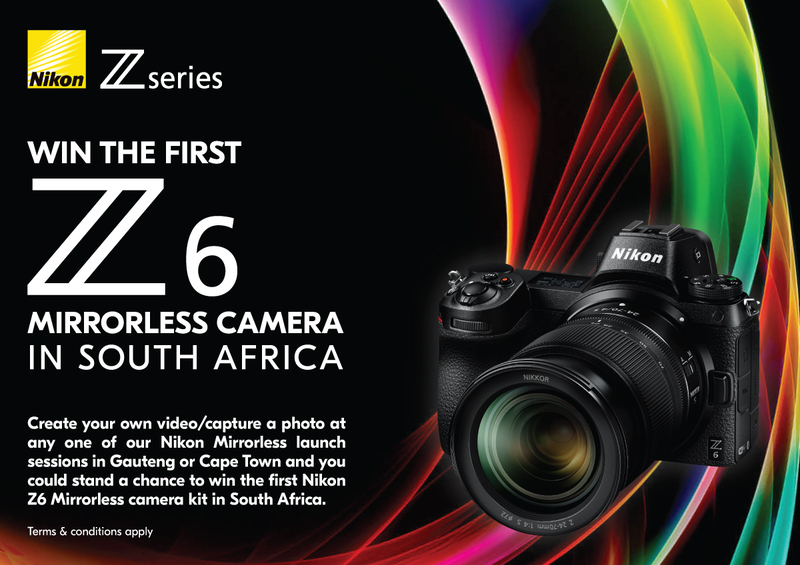 COMPETITION: WIN THE FIRST NIKON Z6 MIRRORLESS CAMERA IN SOUTH AFRICA! Nikon invites you to experience the future of imaging at our Nikon Mirrorless Launch, and you could stand a chance to win the first Nikon Z6 mirrorless camera in South Africa. The competition will commence on Friday, 16 November 2018 and will close on Friday, 23 November 2018 at 12h00 midday (“the competition period”). The winners will be announced on 26 November 2018 on the Nikon South Africa Facebook page. By entering the competition, entrants give Nikon in South Africa the right to use their photo/video on any of the Nikon South Africa social media platforms. Please note: No explicit content, content portraying racism or any offensive content will be tolerated. Any photo/video entry not complying with these terms will be reported on Facebook/Instagram, deleted and automatically be disqualified. Employees of Nikon South Africa, Premium Brand Distributors or any affiliated companies are not allowed to enter.